Ruccello Olive Oil will host a pop-up store at A Shade Above in Monterey on four weekends in October, November and December, just in time for gift shopping for the holidays. Monterey, CA, September 30, 2018 — Ruccello Olive Oil will host a pop-up store at A Shade Above in Monterey on four weekends in October, November and December, just in time for gift shopping for the holidays. In addition to olive oils, the pop-up stores will also feature some new products, including a new scent for the Ruccello Olive Oil Hand and Body Crème, handmade bath bombs in three different scents and a few new olive wood products. There will also be a Grove Gathering event from 1-3 p.m. Saturday, Oct. 27, with the presentation set to begin at 1:20 p.m. RSVP at 831-275-8306 or at roseanne@RuccelloOliveOil.com. Please inquire about hosting a Grove Gathering event at your home. RoseAnne Fischer of Monterey has such a passion for Extra Virgin Olive Oil that she founded her own company in 2017, Ruccello Olive Oil, to offer consumers the highest quality Extra Virgin Olive Oil from the best producers from around the world. RoseAnne is also committed to educating the consumer on the many health benefits of Extra Virgin Olive Oil and how to be a discerning consumer through olive oil tastings, olive oil and food pairing events and house parties showcasing the liquid gold. She will have 10 different kinds of Extra Virgin Olive Oil from Italy, California, Spain, Greece and Turkey available on her website, ruccellooliveoil.com, as well as soaps and lotions made from olive oil. She also hopes to import European antiques in partnership with a company in Carmel Valley. Her business took root in 2015 when she and her husband bought a small house in Tuscany nestled in the Chianti hills, with vineyards and olive groves everywhere you could see. The idea of running her own olive oil business inspired her to take an Olive Oil Sommelier class to learn everything she could about olive oil. And among the things she learned was the fact that many olive oils for sale in the U.S. are mislabeled and adulterated and that customers were being duped into buying Extra Virgin Olive Oil that was either virgin olive oil or lampante oil, which is not fit for human consumption. So the Monterey, California native decided she wanted to educate American consumers and offer them the best Extra Virgin Olive Oil that the world has to offer. NEW YORK, NY, USA, 2018-Sep-28 — /REAL TIME PRESS RELEASE/ — If you are a particular individual at your home and a great curiosity it could happen the same thing that if you are or a Business boss looking for making your business grow up, you might think, “what is in common between these two cases?” two words: translation services. If you are curious about the world, at some point you will come across with the languages, and if you have no fear, you can learn them, this process takes years, and something that can be of a great help is making many small requests of translation. First of all, works made in translation enterprises are actually human translation works; it is not about better technology for translating, just highly trained personnel, so you will never find a digital translation remotely comparable to these ones. What kind of works is made by translation agencies? In this age of communication in the 21st century, there is the high possibility that you were trying to communicate with people across the globe, maybe because you are just trying to make new friends and the language barrier is a problem, only thing you need is to have letters translated. Try to picture this funny example! Maybe your son, daughter or familiar at some point has a romantic engage with a person who does not manage your language and you want to know about that person as it is appropriate, you will need communication. And this is where the works made by translation agencies make their appearance. For in all of these curious situations the help you need is as reachable as a translation request to one of these agencies. Also and good too, if you decided to take the harder but also more passionate way that is to learn the language seriously, whichever it is, you will find yourself without knowing what does some words mean, so here you can use a bilingual dictionary or a digital translator, for more complicated or specific cases, we strongly advise you to hire small human translation works. Did you start learning thank to a song you obsessed with? That can be an excellent way to start and to boost learning a language, to ask a translation agency to get the song translated for you. And this way you will keep on learning your language in a fantastic and fun way. With the works made translation agencies, you are boosted to get access to the entire world, and help you to reach new horizons with languages, although you do not manage them by yourself. With the translations, you get to them and you can start becoming familiar with them. Try to picture the next situation: you are reading on internet and you start learning about a culture that is so rich and abundant, that you feel identified with much if it and want to learn more. But then you see that much of its way to work is related to its language. In this new generation of the connections across the world, your employees and all of your company might need help with communicating with people across the globe, for you are willing to expand and make an excellent contract, do not worry, it is easy for us to translate business letters accurately. It does not matter if your business is having a great impact and success or not, taking the translation way is an excellent and infallible way to expand and boost your business, and we strongly advise you to think about it and meditate it carefully. It is possible that an experienced enterprise of the outside is extending the hand to you and you are not able to answer them properly due to not knowing how to communicate, do not let the language barrier stop you! This is your chance; hire a translation service for you to explore. If your employees are brave enough to take on new goals, you can start a program of language instruction, for helping your employees to manage themselves with the business language and improving their international communication with all kind of people and cultures. After this, your employees would be qualified in the business communication across international frontiers, so you will start having branch offices in different countries and your brand will be much bigger and known across the entire globe. 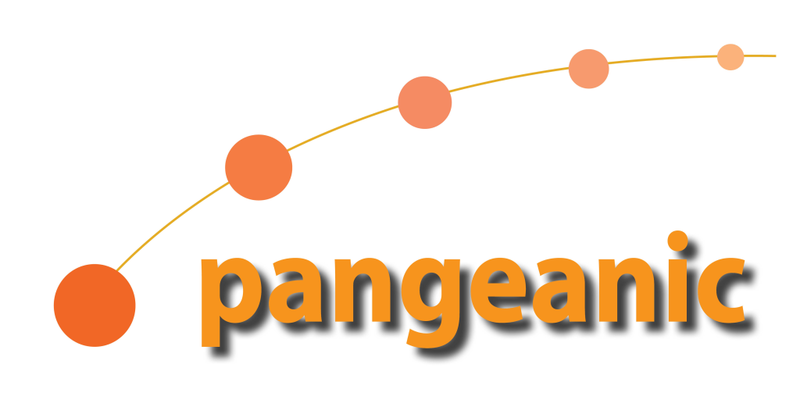 Companies and enterprises like www.pangeanic.com are so often hired to establish this kind of procedures in businesses and they might be the key for yours. This translation and interpretation services jut might be what you need for having your office up to the universe. The works made by translation enterprises are not as simple to explain as you might think, translation agencies can make an amazingly wide range of different works depending of your personal request or the needs of your business. What you have read in this article are the just the basics about the working of the translations, for they are a great industry and it can take you to so many different areas that you would never imagine. It is strongly advisable for you to keep reading and learning. The translation agencies can save your business one day, so better take note of this! On it’s the simplest way, the works made by translation enterprises making use of the feeling, the human possibility of feeling the true meaning of the words, the expressions and sentences. This way, a human is totally able to translate in ways that are impossible to computers. Picking up from a simple request made by you, from your home, you can upload and send any written doc, odt or pdf file you have in your computer and request it to be translated, the price will be determined by the quantity of words and the time you give them to have it done. Then, if you have and want a letter to be translated, a song or even a poem, you can have it translated by them, and then, you can specify exactly how you want it to be done, you can ask them to get its intonation, metrics, rhymes, quantity of words and the formal or informal forms. These lasts are important to have them in mind, for the polite expressions can be strongly marked in other languages more than in English, for example, in Spanish, there are two ways to say You, and they are “Tú” (in some places is “vos”) on its informal way, and “Usted” on its formal manner. If you are trying to complete your whole family genealogy, you will probably find old hand-written books, maybe they will be hard to read or even be in a different language if your ascendants were Italian, German, Swedish or similar. Here the translation services can be of your all solution, for you can scan it and send all pages to a translation agency, you can ask them to just transcript into digital just like it is there, and just have it there if you want, but you can also ask it to be completely translated and presented to you, they will be contacting you for any doubt just to have it the best for you. If you are trying to boost a little business or an indie company, you will for sure need to make use of advertisements and marketing strategies for letting the world know about you, and if you decide to translate graphic design element for taking it across the cultures. First of all it would be necessary to get translated your online marketing materials, look for a specific translation agency that counts with graphic designers for not only translating your advertisements, but having them exactly like they were before, nice looking but translated. And then, you can ask a printer to take to reality all the digital marketing advertisements translated as a work made by translation enterprises and start putting your brand on the spotlights! This will be just the beginning, once you have done this, you will start gaining fame among the people, and they will recognize your brand with a quick sight, it has no importance about where are they from, for your brand would have reached new horizons. We strongly advise you to start thinking about hiring the new services, the works made by translation agencies and enterprises, you will have right what you need! And you can find anything you want, only thing you need to do is to read enough and find exactly the one you want! There are plenty of translation agencies and companies in the United States and in the Internet, and the one you need does exist! Performing works by Franz Schubert, György Ligeti and Maurice Ravel, 7:30 p.m. on Saturday, October 6, 2018, (6:45p.m. Pre-Concert Talk with musicologist Kai Christiansen) Sunset Center, Carmel. Carmel, CA, September 28, 2018 – “Extensive color palette, precise blending, and the sense of fun that makes these serious performances so vivid” – The Guardian. Opening the spectacular 52nd season for Chamber Music Monterey Bay is the Van Kuijk Quartet from France on their first tour of the United States. Currently BBC New Generation Artists, the Van Kuijk Quartet’s international accolades boast Best Beethoven and Best Haydn Prizes at the 2015 Wigmore Hall International String Quartet competition, First Prize and an Audience Award at the Trondheim International Chamber Music Competition, as well as becoming laureates of the Aix-en-Provence Festival Academy. They join the ECHO Rising Stars roster for the 2017-2018 season. Their performance at the 2016 annual Chamber Music America meeting totally won over CMMB’s artisticadvisors, who ‘jumped the line’ in order to get on the 2018-19 tour schedule. This is a young string quartet to watch! Since their formation in 2012, the ensemble is already an established presence in major international venues, performing at the Wigmore Hall in London, Auditorium du Louvre and Salle Gaveau in Paris, Tonhalle in Zurich, Musikverein in Vienna, Berliner Philharmonie, Tivoli Concert Series in Denmark, Sage Gateshead, and at festivals in Cheltenham, Heidelberg, Lockenhaus, Davos, Verbier, Aix-en-Provence, Montpellier/Radio France, Evian, Auvers-sur-Oise, Stavanger (Norway), Concentus Moraviae (Czech Republic), Haydn/Esterházy in Fertod (Hungary), Eilat (Israel) and Canberra (Australia). This season saw the quartet make their debut in Hong Kong, Australia & Taiwan. They appeared last season at The Frick Collection in New York, The Phillips Collection in Washington DC, and Salle Bourgie in Montreal. The Quartet records exclusively for Alpha Classics. Their debut recording, Mozart, was released to outstanding critical acclaim in Autumn 2016, and wasfollowed by a disc of French music in late 2017. The Van Kuijk Quartet is in residence at Proquartet, Paris, where they study with members of the Alban Berg, Artemis and Hagen quartets. Having taken their first steps as students of the Ysaye Quartet, the young musicians have also worked with Günter Pichler at the Escuela Superior de Mùsica Reina Sofia in Madrid; supported generously by the International Institute of Chamber Music of Madrid. The quartet also participates in international academies including the McGill International String Quartet Academy in Montreal, with Michael Tree of the Guarneri Quartet and André Roy; the Weikersheim International Chamber Music Course with the Vogler Quartet and Heime Müller, formerly of the Artemis Quartet, as well as the renowned academies in both Verbier and Aix-en-Provence. Artists: NICOLAS VAN KUIJK violin, SYLVAIN FAVRE-BULLE violin, EMMANUEL FRANÇOIS viola, FRANÇOIS ROBIN cello. The quartet is sponsored by Mécénat Musical Société Générale. New Subscriber Special Offer: Get five concerts for the price of four plus two complimentary guest tickets for Opening Night. Please contact the office for details. Chamber Music Monterey Bay welcomes our new season sponsors: Rio Grill, Sanctuary Vacation Rentals, Lugano’s Swiss Bistro, Merrill Lynch Financial Advisors, and Wells Fargo Private Bank. The VanKuijk Quartet will also perform at The Park Lane Vista Lounge in Monterey on Sunday, October 7 at 11 am. Thisevent is open to the public at no charge as part of Chamber Music Monterey County’s Visiting Artist Outreach program. The Park Lane is located at 200 Glenwood Circle in Monterey. Learn more about the music on the program by attending Chamber Music Monterey Bay’s popular pre-concert lecture with musicologist Kai Christiansen at 6:45 p.m. Kids up Front and Free! Students in grades 3-12 and music teachers receive FREE tickets and $15.00 discounted tickets for their adult companions through Chamber Music Monterey Bay’s education program. Ticket prices: $33.00 – $52.00; $15.00 for adult students under 30 years of age and active military.Tickets are available at ChamberMusicMontereyBay.org or (831) 625-2212. Box office opens at 5:45 p.m. on the day of the concert. Chamber Music Monterey Bay is a 501(c)(3) non-profit organization whose mission is to preserve the tradition of live classical chamber music performance and explore the evolution of this intimate art form through commissions of new compositions and local educational outreach. Autumn is just around the corner, so Real Estate Agent Ashley Wayland of Wayland Properties is offering tips and tricks to get your home ready for the season. Monterey, CA, September 27, 2018 — Autumn is just around the corner, so Real Estate Agent Ashley Wayland of Wayland Properties is offering tips and tricks to get your home ready for the season. It’s time to clean out those gutters to get ready for the weather (hopefully). Why is this important? Clogged gutters create “sludge,” which is extremely difficult to remove. Water will then overflow from the gutters onto your home, causing wood rot. Wood rot attracts termites, compounding your problems. •It’s time to clean out your chimney! There are some great companies across the Monterey Peninsula that can take care of this for you, starting at, $149. •Test your carbon monoxide detectors. With cold weather approaching and heaters being used more often, protect your family from the risk of carbon monoxide poisoning. It will only take a few minutes of your time to test your carbon monoxide detectors. •If you live an area that is prone to freezing temperatures, right now is the time to wrap/insulate any of your exterior pipes so they don’t freeze and break. Even in the Salinas Valley, there is an occasional freeze. •Do you have any “sick” trees or large branches that are close to or hanging over your home? With winter storms around the corner, it’s important to be sure that nothing unhealthy is within reach of your improvements. Call Lopez & Sons for an estimate today at 831-915-7619. •If you’re heading up to snow country, make sure you have plenty of anti-freezing windshield wiper fluid in your vehicle. Have you ever been stuck on Highway 80 on the Summit behind large trucks before? You will thank me later! •Also, it never hurts to pre-purchase chains and carry cash to have them installed if necessary. You never know when you will be caught in the snow! I know that sometimes it can feel like your home is a never-ending money pit, but it is one of the largest investments you will ever make. Take heart, you are incredibly blessed to own a home! More than 64% of American’s own their own home. It’s one of the largest investments you will ever make, so it’s incredibly important to protect your investment and take great care of it! Zevrix Solutions announces LinkOptimizer 5.2.10, a compatibility update to company’s workflow automation solution for Adobe InDesign. Awarded 4 out of 5 stars by Computer Arts magazine, LinkOptimizer can automatically resize InDesign links to their final dimensions at a target resolution specified. The app can also assign colors profiles, perform image adjustments and convert file formats. The new version makes LinkOptimizer compatible with the recently released macOS 10.14 Mojave. Toronto (ON), Canada — Zevrix Solutions today announces the release of LinkOptimizer 5.2, a compatibility update to company’s image workflow automation solution for Adobe InDesign. LinkOptimizer automates complex image manipulation tasks helping InDesign users reduce the link size, save processing time and production costs, and repurpose InDesign documents for web and mobile devices. The new version introduces support for the upcoming macOS 10.14 Mojave and is offered as a free update to the licensed users of version 5. Users of earlier versions can update to LinkOptimizer 5 at a discount. As a result, users can save gigabytes of disk space and hours of optimizing images manually, accelerate document output, reduce job turnaround and cut costs through faster processing. LinkOptimizer can be purchased from Zevrix website for US$259.95 (Lite version: $179.95) as well as from authorized resellers. Trial is also available for download. The update is free for LinkOptimizer 5.x users and $130 to upgrade from previous versions. LinkOptimizer requires macOS 10.7-10.14 and Adobe InDesign/Photoshop CS5-CC 2018. There’s more to life than profit. And integrity can’t be bought. That’s the philosophy pushing Guberman-PMC to ISO certification and quality success, while maintaining a pro-American, pro-veteran stance despite the shady affairs of other businesses choosing to work with anti-American elements. New York, NY, USA, September 27th, 2018 — September 11th, 2001 is a day that is etched into the hearts and souls of all true Americans. It has also stood as a huge motivation for ethical businesses to stay far away from those companies and organizations who choose to work with and be certified by those who hate both America and Israel. Jewish-American business leader Daryl Guberman, founder and CEO of Guberman-PMC, has been on a crusade to educate how many of the top ISO-certifying orgs have ties to places like China, Iran, Pakistan, and other countries who make no secret how they feel about the American way of life. One of the ways Guberman has tried to educate in this area is through a series of informative YouTube videos. In his latest, Guberman teams up with a 9/11 FDNY hero to slam what many feel are the unethical business practices of Victory Welding and their owner George Foote who chose to work with the Chinese national led IAF watching over ABS Quality Evaluations, rather than a pro-American ISO-certification quality organization. Guberman-PMC has over three decades of experience in ensuring quality and offer ISO certifications that cover a very long list of areas that can be seen on the company website. They also do their part to help pro-American causes, with Guberman even considering running for office, and hiring veterans whenever and wherever possible. Watch the new video “FDNY 9/11 Hero Slams Victory Welding’s George Foote For Anti-Americanism” here https://youtu.be/xqg17szX9Bo. For more information be sure to visit http://www.darylguberman.com and http://dguberman.com. NEW YORK, NY, USA, 2018-Sep-26 — /REAL TIME PRESS RELEASE/ — Most of the systems we are already used to, we do not know how they work, for we are always thinking we know enough that they work and we trust them. But honestly, do you think you know enough about online banking? Here you will find some facts that might be useful for you to know! Here you will find useful information you will better have on mind, and also excellent reasons for using online banking services and some advices for being always safe and security. Sometimes if your internet connection is not that good, it might be hard for you to access to your bank through your conventional online banking portal, so these online banking apps and services might help you to access in an easier, lighter and safer way anytime you need! Online Banking – When and how did it start working? Did you know it? The first online banking systems that gave origin of the ones you use today EVERYDAY were introduced in the early 1980s in New York when four of the national banks started offering the revolutionary home banking services, allowing the clients and small businesses to have a quick online banking check. On the same way, the online banking started also on the United Kingdom around those years when the Scotland Bank and the Nottingham Building Society provided the Homelink service for giving their users the opportunity of viewing bank moves on a computer. But it was only until 1994 that the banks around the entire globe started using the internet for posting their advertises, and then in 1995 they started offering to the clients the possibility of managing their money online through a home computer, and this came to be the online banking of nowadays. As everyone knows the major benefits of using online banking are mainly two: security and comfort. With the online banking services you can make all your money-related operations without needing cash or personally going to the bank. These services might help you regardless of your bank, they will help you to manage all your bank moves for having an easy, confortable, secure and practical administration of your money, you can make routine pays like paying electricity, water and gas services without losing any time of your day. Your pays to third ones can also be made much easier with these online banking services, for they will offer you an easy platform where you can quickly see and control your bank accounts. These services might also help you if you manage more than one bank account, so you can control your money in any of them more easily and in a more ordered way. You do not need to waste any passage fees anymore if you do not live close to any bank, you can make all your processes from your home computer or even with your Smartphone. It is really easy to look by yourself if you prefer right now, on Google Play Store for these apps for the one you prefer the most, we just advice you to read enough about each app of services and be aware of the reviews to know if it is safe and if it has the functions you need. Most of these online banking services also have apps you can download for always having a control of your money in your pocket. You can pay the balance of your telephones, your internet service and the rent of your home (if you have to) through online banking. If you are already an online banking user or you are considering being one, here are some advices to keep security, for there is no infallible system and you can help these to be safer and securer. What you can do is always good for making sure your security and your money’s. Many online banking services keep you safe with logging you out every time you finish your operations, if you close the app or delay too long in doing something in it, it might close your account for your security, so you better remember always your user name and password. It is not recommendable to have your password written in a paper or in any digital way inside your phone, always protect your device with a locking pattern, or even better, a password or a PIN code, these last two methods are more efficient and safer than the pattern that could stand marked on the screen of your smartphone. Sometimes when you connect to the public WiFi and start making your bank moves from your smartphone or laptop, there are hackers who are connected to the same network that you are, and they can hack your information even from your online banking accounts, everything you send could be intercepted by them. The makers of the online banking services and apps nothing can do against that, but you can! There are some programs or apps that are known as VPN. What are the VPN programs and apps? The letters are for Virtual Protected Network, and it makes that all your information is encrypted and it makes it harder to be hacked and intercepted. If you protect your phone and your laptop with VPN programs, the hackers will have it MUCH harder to intercept your data and force your online banking accounts. Follow carefully all of these advises and your online banking account, passwords, and information will never be hacked! You can then research by yourself and keep reading for having enough knowledge about the system of online anti-hacking security you are willing to install and make use of. At this moment me do not recommend you one specific VPN app or program, we just let you know about its existence and we strongly advise you to start researching about them, so you can find exactly the one you need for your phone, or your laptop. Do not waste any time or disk space on installing a program that is too heavy and has too many features that you do not actually need, just look for the program you do need. It is also recommendable that you read carefully every contract of terms and conditions and politic privacy of the apps you install and the programs you use in your laptop for applying the online banking services. First of all, you will reduce the time spent in executing financial operations. Only thing you need to do is to be connected to the internet from your home, your office or any mobile web (remember to use VPM systems to protect data), and then you will have all your money in your hand, easily manageable. Make your bank moves from everywhere you are, you can do it from your laptop or your smartphone, only thing you need to do is to have internet access and then you can review your account state, transfer money and pay fees. Usually, these mobile online banking services are free and the only charge you could get is with your mobile company and the kind of plan you have contracted. You can make more than one banking operation: moves, credit card pays, pay of services, recharge your air time and according to specialists, 20 per cent of people access to online banking through internet through these kind of mobile devices. You can have control of your money and account pays, and then stop losing any more time visiting the bank, with online banking aside of avoiding the printed account states, you can pay your accounts and maintain all your pay registries in only one place and very easy to find. If you prefer, you can also program automatic pays using your credit or debit card, like the pays of your services of water, electricity and telephone. Security with your operations is supported by your username and your personal unique password (and this is one you can change periodically), and also you have the token, that is a numeric code that changes every 60 seconds, and that you have to introduce to connect to the online banking. Many online banking methods also work with security images, which are unique and are impossible to be identified or distinguished by a computer, so it cannot be violated with robotic systems. Monterey, CA, September 25, 2018 – Bertie Bialek Elliott has served in many capacities with the Monterey Symphony and has been attending and supporting the organization for over 35 years. Before the opening of the 73rd season of the Symphony, Bertie made the decision to give $2.4M to the Symphony’s endowment fund, ensuring a vibrant and healthy financial future for the organization. These endowment funds will be used to support the artistic and administrative vision of the organization. In honor of Bertie’s tremendous generosity, the Symphony has named these funds the BERTIE BIALEK ELLIOTT ENDOWMENT. The Monterey Symphony, founded in 1947, serves the diverse communities of the Monterey Peninsula through a subscription series at Sunset Center in Carmel and a wide reaching youth education program, Music for the Schools. During the 2018-19 season the Symphony will return to Salinas with two youth concerts reaching nearly 3,000 students. Additionally, the Symphony will present six youth concerts at Sunset Center, reaching 4,500 students. Every 3rd grader in the Monterey Peninsula Unified School district participates in the Symphony’s program, as well as every 5th grader in the Salinas Union School District. The Symphony recently received an award for Outstanding Non-Profit from the Non-Profit Alliance of Monterey County. Washington, D. C., 2018-Sep-24 — /REAL TIME PRESS RELEASE/ — With the introduction of her printemps/été 2019, Ellen London strives through her wearable art collection to emerge from the daily complex incongruities we experience and to rise from the ground with beauty and grace as does a flower – “de la sol une fleur doit grandir”. Her collection challenges the audience to emerge with hope and possibilities from the shadowy confines of our internal and external walls, and to work towards inclusion rather than exclusion. Focusing on connection, understanding and respect, Ellen London translates these ideas through fabric art – utilizing vintage and new – textiles and techniques – from a myriad of global cultures and countries. Hand painted cities on palettes of silk, and designer felted pieces interpreting color and light are highlights of the collection. The ellenlondon Studio SS2019 collection previews at the finale International Couture Runway at DC Fashion Week runway on September 23 2018. It’s no secret that there are many businesses upset about their relationship with their ISO accreditation organization. 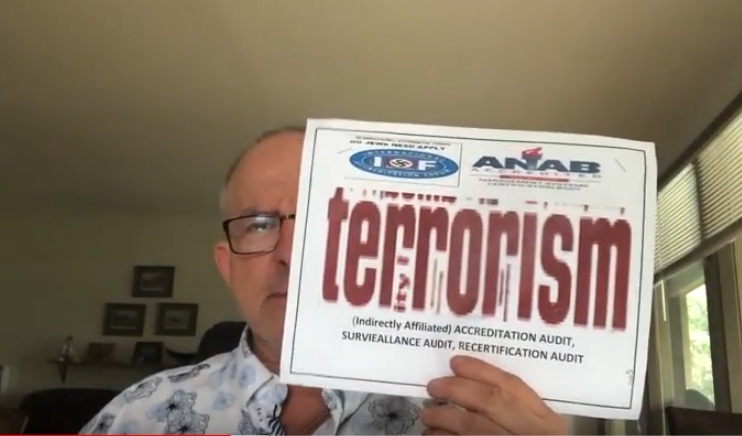 Expert in the field Daryl Guberman of G-PMC LLC explains why this has likely occurred, especially for those businesses accredited by ANAB and its affiliates. New York, NY, USA, September 21, 2018 — When it comes to business, knowledge is certainly power. For companies who are disgruntled by the performance of their ISO registrar, a common occurrence in the last few years, lack of knowledge may be playing into the issues they are experiencing with the quality service their registrar is delivering. Founder of G-PMC LLC and quality consulting expert Daryl Guberman is tackling this issue head-on. 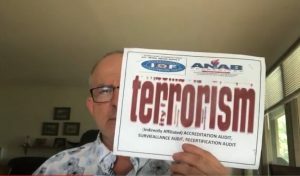 Having identified very serious ethical, and possibly even legal concerns, with leading accreditation organization ANAB, Guberman recently released a new YouTube video “Have You Been Misled By An ISO Registrar About Accreditation?” intended to help wake up as many business owners as possible. According to Guberman, ANAB makes no secret that it has affiliations in China, North Korea, Pakistan, Libya, Iran, and many other countries who have either directly or indirectly called for the destruction of the United States and Israel. Some of these countries have also been shown to have conducted hacking operations and other forms of cyber-espionage against the American government and American businesses. Guberman points to these warning signs and more when he asks the question of business owners if they have been misled by their ISO registrar, since these kind of connections are certainly not useful as selling points to American businesses many of which have veterans either as workers or owners. Guberman goes on to point out a sound alternative in using the American-based, owned, and operated American Board of Accredited Certifications (ABAC) for accreditation purposes, a decision with no poor ethical overtones. Both ABAC and G-PMC are known for supporting veteran’s causes large and small, along with having a patriotic and pro-Israel position, as opposed to their main competitors. For more information on Daryl Guberman, including his possible run for Senate, be sure to visit http://darylguberman.com and http://dguberman.com.